The second Jeep is finished! Well, almost. Matt ran out of paint with a couple of rear panels to go, but as it was 10.30 pm anyway decided to call it a day (night), last Friday. We are still waiting for the seats to arrive. 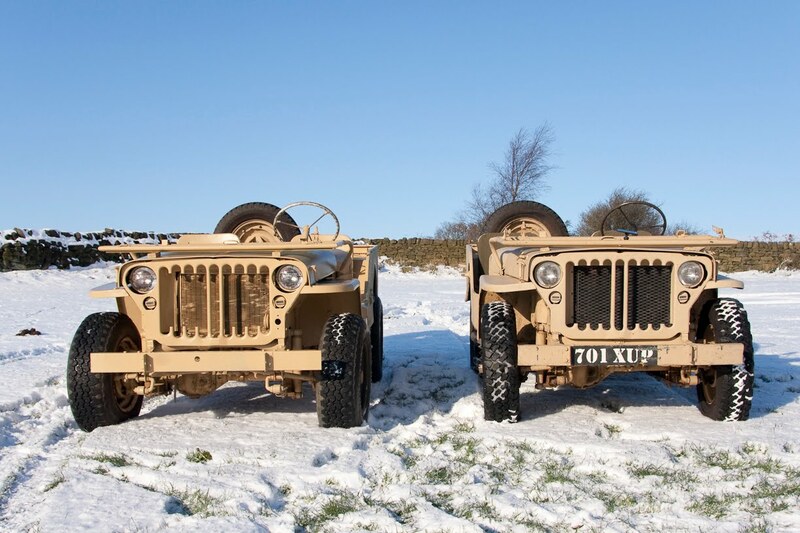 They have been ordered from American Canvas, in Ludlow, on Jeeparts recommendation. 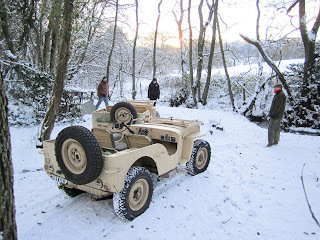 The tyres are not here yet either, but the ‘fat boy beach buggy’ ones it came on from California will be fine for now. A few phone calls on Saturday rounded up enough likely suspects to take both Jeeps for a spin in the woods and see how well the Willys runs. 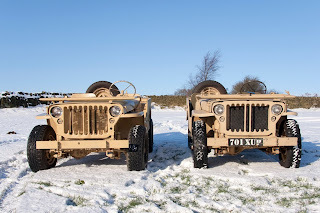 It was a weird experience having two identical Jeeps. I bit like dating a twin I guess. I would go to the tool box on one and realise the wheel brace was actually in the other! Not a big deal, life changing, moment - just odd. See the LRDG Expedition web site. just a tip on dating twins - this has to be done concurrently rather in sequence. Their wheelbraces are very rarely in exactly the same place. Use a clever mnenomic to make sure you always get the name right, better still a common nom d'amor is cool, that way when you're all three together you won't get slapped. MORE TWINS ! 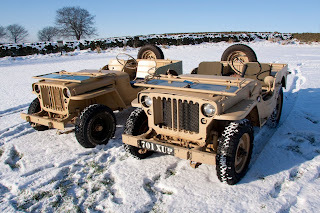 A good friend of mine who runs two very similar vehicles of pleasure refers to them both as 'Babe'. Avoids confusion.